James H. Young was born and reared on a farm in Christian County in western Kentucky. He entered the University of Kentucky in 1958 where he majored in Agricultural Engineering and was an active member of FarmHouse Fraternity and the Student Branch of ASAE. He completed the B. S. in 1962 and the M. S. in 1964 before receiving a National Science Foundation Fellowship to study for the PhD at Oklahoma State University. In 1966, Dr. Young joined the Department of Biological and Agricultural Engineering (BAE) at N. C. State as an Assistant Professor with responsibilities in teaching and research in agricultural processing engineering. He moved rapidly through the faculty ranks and was promoted to full professor in 1976. In addition to teaching the core courses in process engineering and transport phenomena for over 30 years, he chaired the Departmental Curriculum Committee for 16 years and was active in advising and working with both undergraduate and graduate students. One notable advising success was with his son, Scott, who enrolled and received an M. S. in BAE in 1997. Dr. Young was named Coordinator of BAE Undergraduate Programs in 1991 and BAE Graduate Programs Administrator in 1994. He served as Interim Head of BAE from July 1999 to April 2000. Dr. Young was named Head of the Department of Biological and Agricultural Engineering in May 2000. In this capacity he continued to provide outstanding leadership to one of the nation’s largest BAE departments. He guided the department through an increased emphasis in biological engineering and the establishment of a biomedical engineering degree (BME) program. When BME became a separate department in 2004, Dr. Young led BAE in the establishment of new programs in bioprocess engineering and air quality concerns related to agriculture. Dr. Young is widely recognized and has received numerous honors for the excellence of his contributions to his profession and to N. C. State University. He was named Alpha Epsilon Outstanding Alumnus of the University of Kentucky Agricultural Engineering Department in 1985 and inducted into the UK Engineering Hall of Distinction in 2004. He served in all offices of the N. C. State Chapter of Gamma Sigma Delta, including President in 2003-04. Dr. Young’s commitment to his profession, to engineering education and to education in general, goes beyond his distinguished work at N. C. State. He has been very active in the ASABE, the professional society for Biological and Agricultural Engineering. He has served on dozens of committees in ASABE, including two terms on the board of Directors. For a decade he served on the Engineering Registration Committee, overseeing the writing of the PE exam for his discipline, and he is a member of the American Society for Engineering Education. He is a Fellow of ASABE and of the American Peanut Research and Education Society. 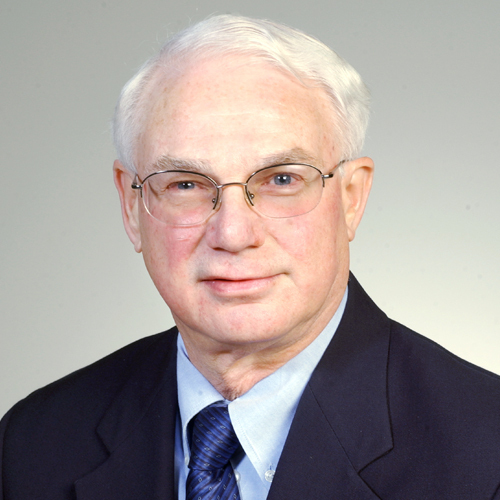 In 2005, Dr. Young received one of ASABE’s 3 highest awards, the Massey-Ferguson Gold Medal Award for career long dedication to learning and teaching in Agricultural Engineering. Johansson, A. S., Whitaker, T. B., Hagler, W. M., Giesbrecht, F. G., Young, J. H., & Bowman, D. T. (2000), Journal of AOAC International, 83(5), 1264–1269. Johansson, A. S., Whitaker, T. B., Giesbrecht, F. G., Hagler, W. M., & Young, J. H. (2000), Journal of AOAC International, 83(5), 1270–1278. Johansson, A. S., Whitaker, T. B., Giesbrecht, F. G., Hagler, W. M., & Young, J. H. (2000), Journal of AOAC International, 83(5), 1279–1284. Anderson, D. S., Abubakar, Y., Young, J. H., & Johnson, W. H. (1998), Transactions of the ASAE, 41(6), 1747–1753. Young, J. H., & Stikeleather, L. F. (1991), Transactions of the ASAE, 34(1), 301. Young, J. H., Tutor, J. C., & Cain, G. L., Jr. (1990), Applied Engineering in Agriculture, 6(3), 329. Young, J. H., & Moore, R. P. (1972), Oleagineux (Paris), 27(2), 89. Young, J. H., & Whitaker, T. B. (1971), Transactions of the ASAE, 14(2), 309. Young, J. H., Moore, R. P., & Allen, W. J. (1971), Oleagineux (Paris), 26(8), 551.